It is really simple to bake garlic bread. All you need is a French bread loaf. 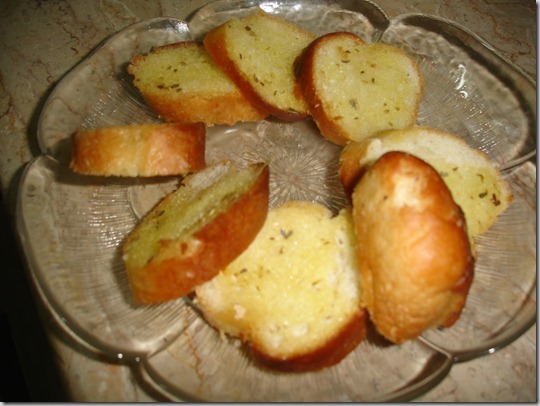 It is better to buy the ready made loaf instead of baking it at home because it is really cheap and it will save a lot of your time and in meanwhile you can make something else like pasta or lasagna to accompany the garlic bread. Mix all ingredients in a bowl except bread. Cut the loaf into slices and apply butter mixture on them. Bake in preheated oven for 2-3 minutes and serve warm with pasta, lasagna or pizza. is there any substitute for oregano or basil.?? You can use any herb or you can use fresh coriander finely chopped.